J.R. is using Smore newsletters to spread the word online. Keynes from a very young age took on a heavy work load of school education. It began in Kindergarten when not only did Keynes go to a kindergarten school but he came home to elementary educational instruction. After attending St. Faith's Preparatory School Keynes gets ready for 3 full days of examinations to get into Eton High School. 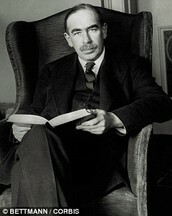 Keynes passes the exams and is rewarded a total of 20 scholarships for Eton. Keynes goes on throughout his high school years being an excellent role model despite him being out of school numerous times due to ill health. Nonetheless, Keynes is able to keep up the good work and is the recipient of the Chamberlayne Prize due to getting first in Mathematics, History, and English in the Higher Certificate Examination. Keynes is able to attend King's College, Cambridge and graduates being awarded a first class in mathematics from King's College. At the age of 23 Keynes is offered and accepts a position in London working with the Indian Office of Civil Service. In less than 6 months Keynes is working now for the Revenue, Statistics and Commerce Department of India Office and he loves it. 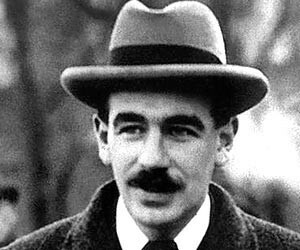 Keynes leaves the Indian Office and decides to work on probability theory in Cambridge. Half a year later he is lecturing at Cambridge University three times a week on Money, Credit and Prices. Later down the road he gets a raise and he totals of making 700 Euros a year. 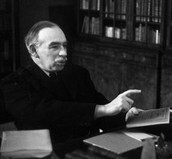 Keynes basically created the ideas of Keynesian Economics (obviously named after him) in his book "The General Theory of Employment, Interest, and Money" His ideas promoted a mixed economy in which the private sector answers the main economic questions but the government may use fiscal and monetary measures to help the country's economies through economic recessions, and booms. 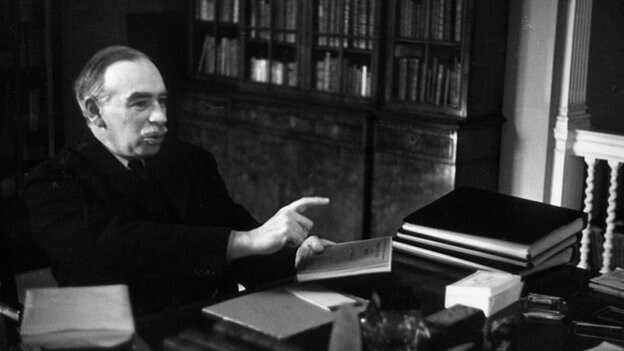 Keynes also presented the idea that prices and wages respond slowly to changes in supply and demand, which results in periodic shortages and/or surpluses. He even inspired the idea that changes in aggregate demand have a much greater affect on total output then on actual prices. One last thing is the Keynes was one of the representatives for Britain at the Treaty of Versailles and was highly against the high reparations set on Germany since they would leave Germany poor and economically and politically unstable.